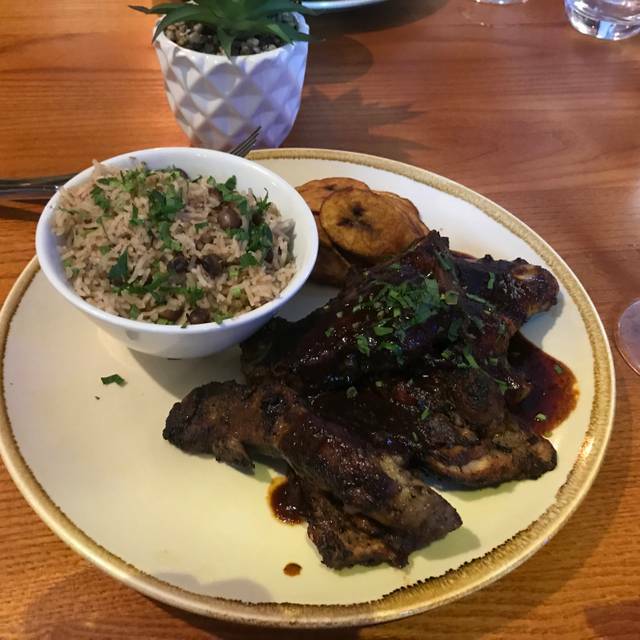 Good Caribbean flavours, quick service and good location very near vauxhall and right on the river. I've been to Cotton's a few times and this is the only time I've been slightly disappointed. 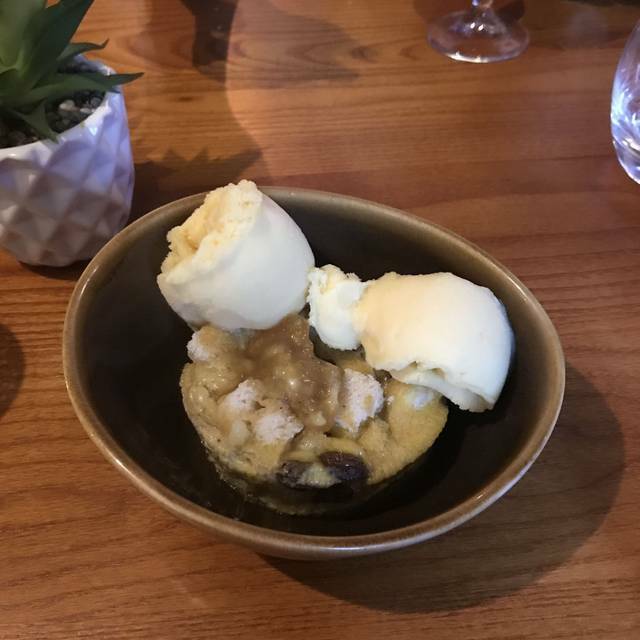 The food was great as usual, but I wasn't happy about being overcharged for cocktails and after informing staff it was my friend's birthday and asking if they do anything to celebrate, and being told 'leave it with me', we were given a birthday dessert which ended up being on the bill, even though we weren't informed of this. Overall I still enjoyed my experience, but if you're going to tell a customer you offer something, it would be good to know you're charging them for it and not just adding it to the bill without their knowledge. This restaurant is certainly a Jewell in London's crown. All dishes were beautifully presented and delicious. Great atmosphere and perfect location. Will visit again very soon. 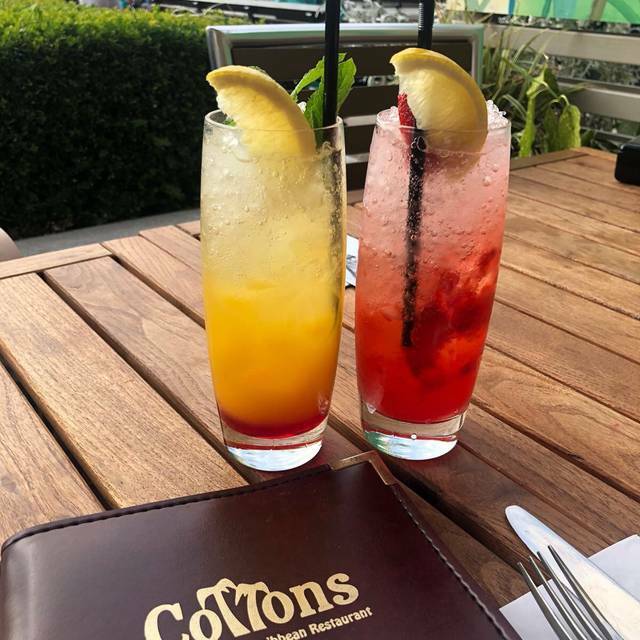 Having enjoyed Carribbean food in other places, our entire group were excited to visit Cottons and try the great looking food on the menu. We were all very disappointed in the food were served. I had Jerk Pork and the Boston Bay Pork belly. Apart from the cut of meat they were identical in having virtually no flavour. Both cuts had been covered with the same black molassesy sauce. The jerk pork was totally lacking in zest, fresh flavours and most notably, spice. An almost total lack of chilli. I'm not one of those who need scotch bonnets to get a chilli hit. A nice buzz of spice is good though and this had none. On all 8 plates, (4 starters and 4 mains) only the small bowl of dall curry served to my wife had any significant flavour at all. We all agreed it was the worst lunch any of us had ever had. 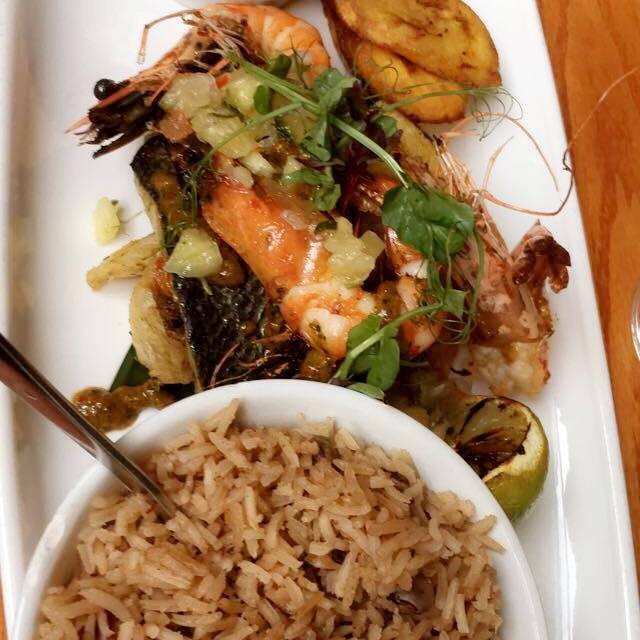 We wouldn't recommend Cottons to others and will look elsewhere for fresher spicier flavours next time we want Carribbean food. Staff were very welcome and relaxed - gave us time to drink and eat at our own speed. Really nice to just be able to sit and enjoy our sinner. Fantastic service for my party of four people. The meals were amazing and definitely will be coming back for ‘seconds’! The noise is just right (even with very young kids in the restaurant running around). If you get to try something then go for the curried mutton. Attentive, warm and friendly staff. Mouthwatering food and generous portion sizes. The sharing platter is very good value. Everyone in my group were very pleased and I will definitely be back again soon! Visiting from Edinburgh and booked for my sisters birthday treat. The food was delicious we both had the fish sharing platter. Excellent value for money and great customer service. Highly recommend. Doubles and mac and cheese was a bit bland, needed more spice and seasoning to give it that kick. Other than that the food was lovely. The vibe was nice and staff were really helpful amd friendly. Loving Cotton’s Vauxhall, it’s my go to restaurant. Can not fault it in anyway and the location is perfect! We will be back at the end of the month for Mother’s Day! Unfortunately the food was very average. There was no spice to any of our 3 meals. Nice location. Food was really good. My friends and I enjoyed our bottomless brunch. Excellent time at Cottons with a great Valentine’s Day set menu for a great price. Service could probably be improved slightly due to the staff forgetting to serve parts of the set menu unless prompted multiple times. However, I would definitely still return for another visit. 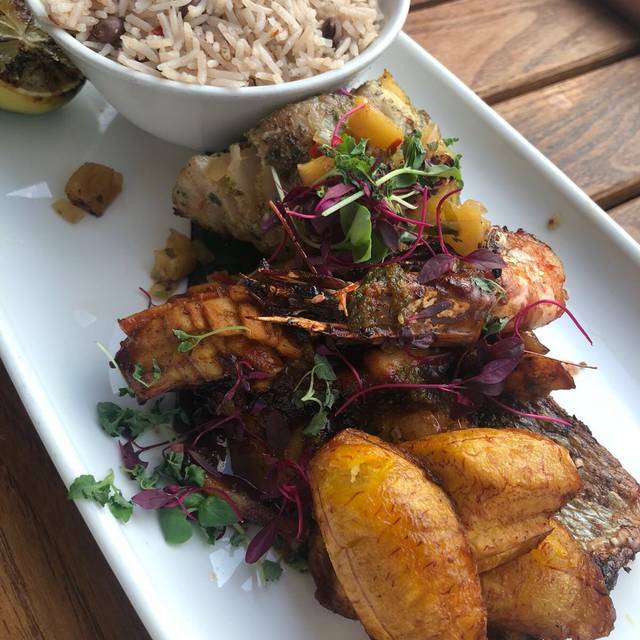 The best Caribbean food I’ve had in London - the closest to home-cooked you’ll find. Go to this branch if you want more of a restaurant vibe - the one in Brixton is more like a cafe. Very much worth the price! I love cottons, Vauxhall... I came because the food in Camden was superb and in shoreditch as well. 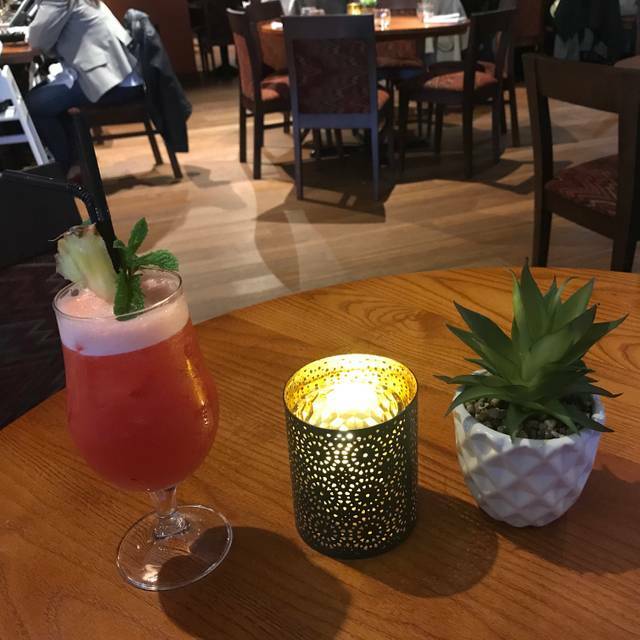 The cocktails here are great , the staff and the atmosphere is lovely and the girl with the braces made our night just amazing. Definitely recommend. The family and I loved everything about Cottons, especially the igloo with the Christmas lights and the river view, which would also be a great romantic setting as it was very intimate. 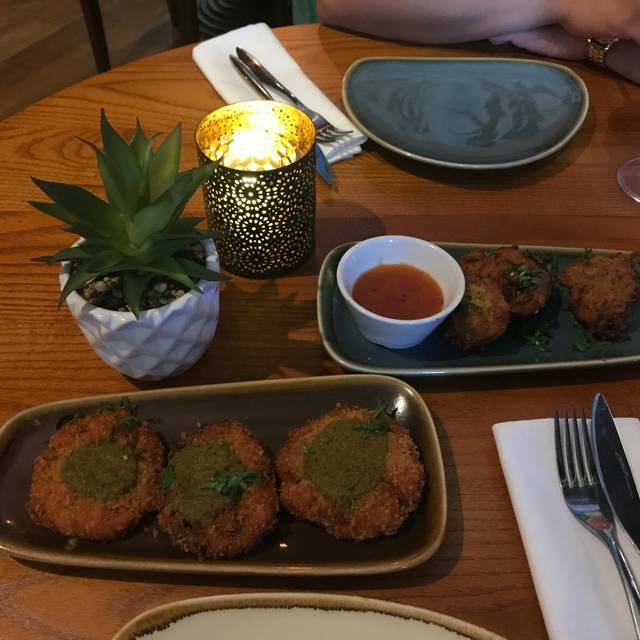 Loved the cocktails (we took advantage of the happy hour menu) and the food (decided on the mixed jerk grill platter to try a bit of everything)! We will definitely be back to try the rest of the menu, see you again soon! Really good dinner with friends. Only issue was that the young lady who waited on us, couldn’t remember what we ordered. She wrote it down, but asked about 3 times. We went here for a special occasion and asked for a seat with a view, the view was of a lone dance instructor showing 2 older men some steps on a dance floor (made from removing some tables). The DJ played RKelly only from 6pm to 7.20pm. At this time the tables were replaced and speed dating started. My 9 year old then asks what is speed dating. She was sat right next to one of the tables being used so we could hear everything. On top of this a loud bell rang every minute for them to change. The food was also not good. 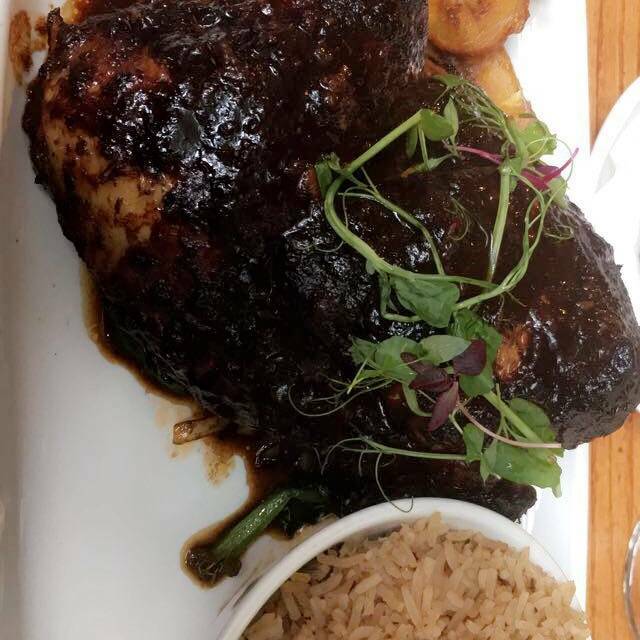 I had the jerk platter, came with a thick sweet sauce all over it. Not like any jerk I have ever had. The website did not mention speed dating was taking place. Very disappointed, special occasion ruined. Would not recommend. Great food every day of the week. Better service during the weekday as it's a lot quieter. The food was ridiculously good. It was RIDICULOUS. Went with my boyfriend for his birthday and we shared a mixed grill platter. We don’t drink so I got iced tea and he got mango juice. Bill came to like £38 which is very fair for the quality of food. Portion was perfect, we just about finished everything. 11/10 would recommend and my mouth is watering thinking about my return. MY COMPLIMENTS TO THE CHEF! Food was ok , I found the service poor, was sat at table for 30 min before I was asked for drinks order. Then Had to get up several times and approach the bar staff to remind them of drinks orders. First time in my life I’ve not paid service charge. Food was delicious, once it finally arrived. The wait was a little too long. Good value food. Very nice menu. Really enjoyed the atmosphere. Had the bottomless brunch which had a good choice. The cocktails are really nice too. Nice place by the bank. Food was good. It was a lovely evening but we sat outside which was a bit cold. It was also very quiet because it was the day after the Bank Holiday but we quite liked that - we were able to talk uninterrupted by other diner's chatter. The bar tender was fantastic and I really appreciated the rum selection. I must say I did not enjoy the food overly much that night but I have been there before and the food was much better. I would still recommend it very much. Very helpful staff. Food was delicious. Definitely will visit again. Made a booking for 5 including a child of 8 who was made welcome with the child’s menu and a picture with pencils to colour in. The adult menu was fantastic, the food arrived hot and well presented. Our dishes were outstanding, the ribs, chicken, fish, mac, everything on point. The cocktails were great along with the service. Pity they didn’t play any reggae music but definitely going again!!! Nice ambience, varied menu, good portions, good music. However we had to ask more than once for the drinks we'd ordered and for the bill. Given that it was a special occasion (60th birthday) this was a bit annoying. Dessert menu was a little limited and no gluten free range. However we were given a free drink for the birthday boy! Nice atmosphere, however a little disappointed with the food. The meat in my dish was extremely fatty and the portion size huge in relation to the accompanying rice. 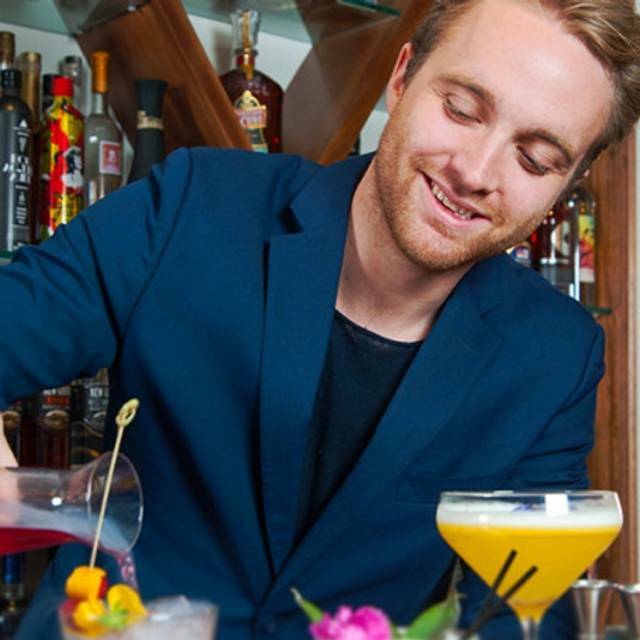 Great cocktails though!